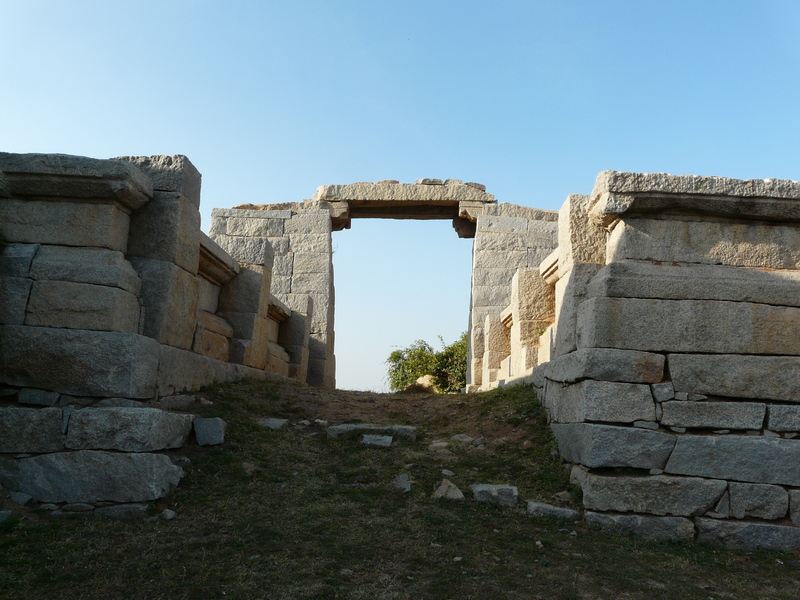 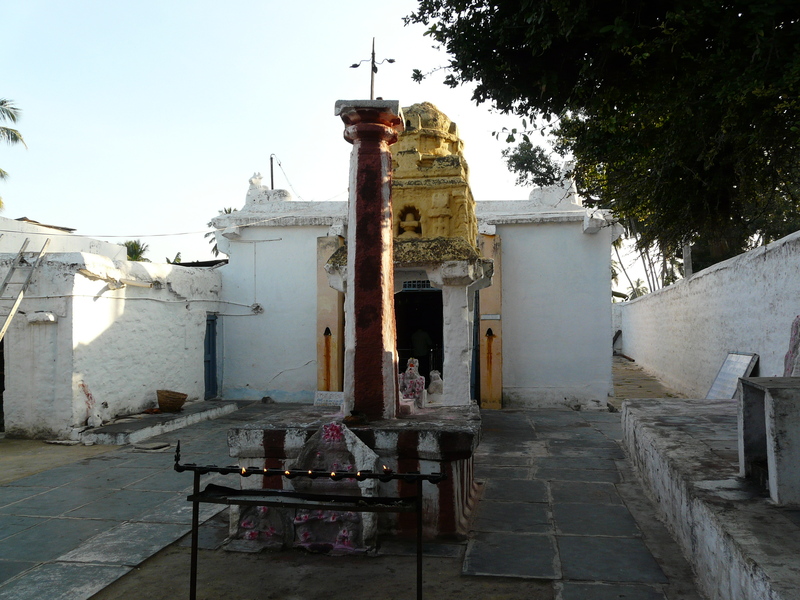 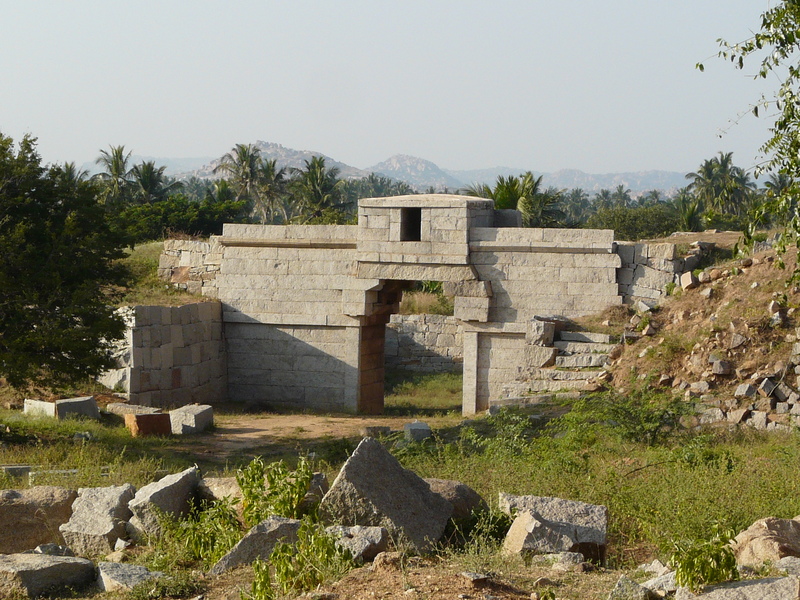 The Sacred and Royal Centers would have been the focal points of Vijaynagar, and today most of the existing ruins lie within these two areas. 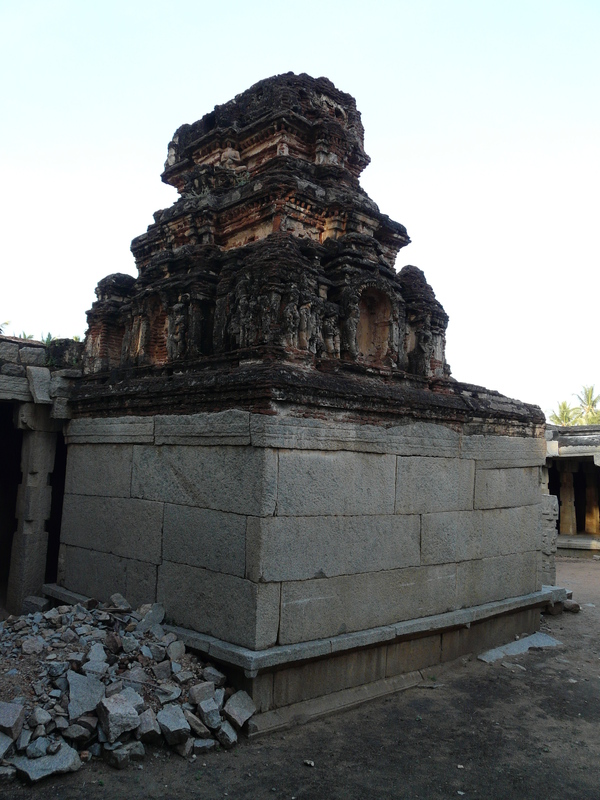 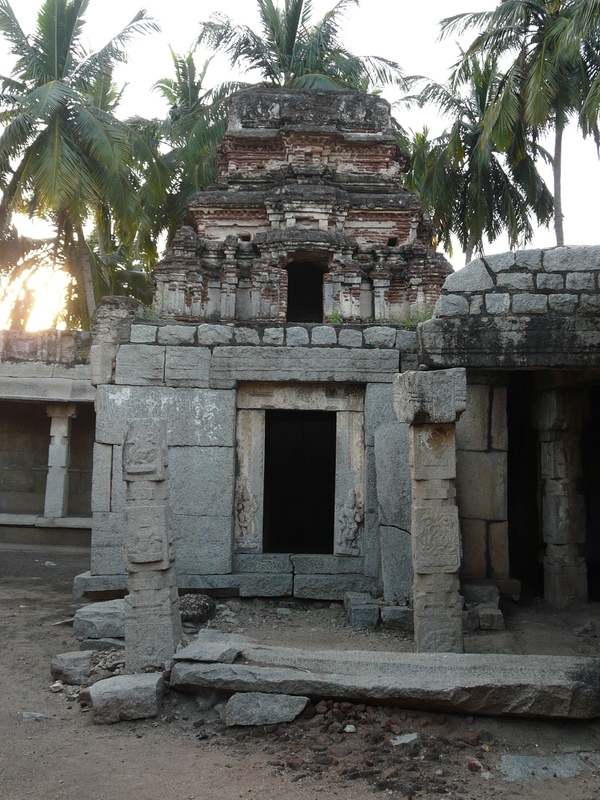 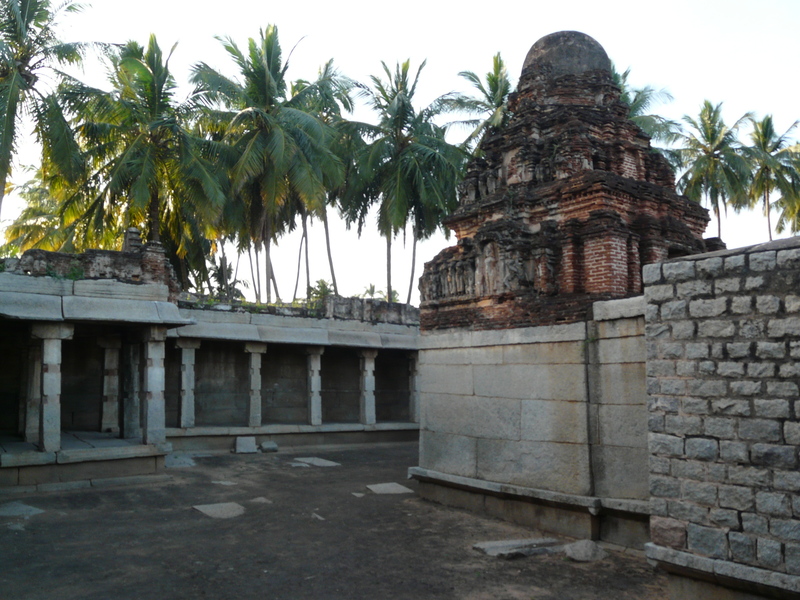 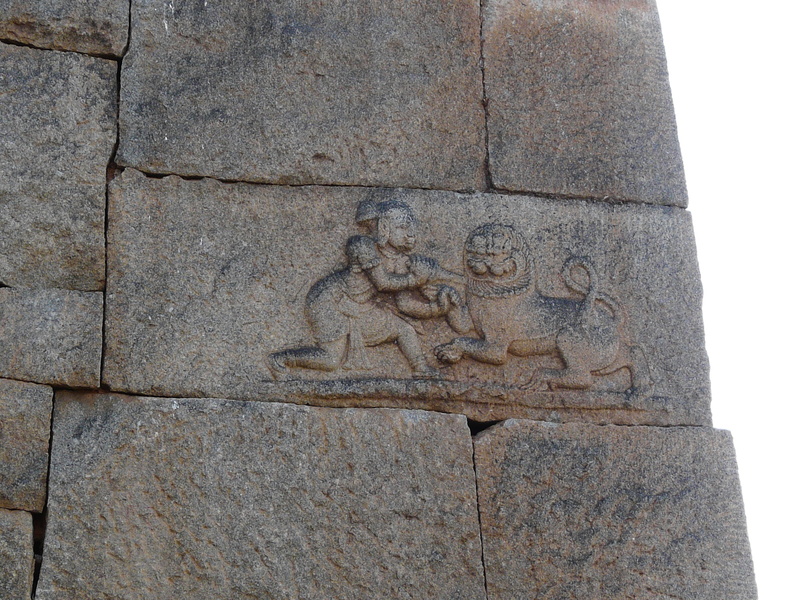 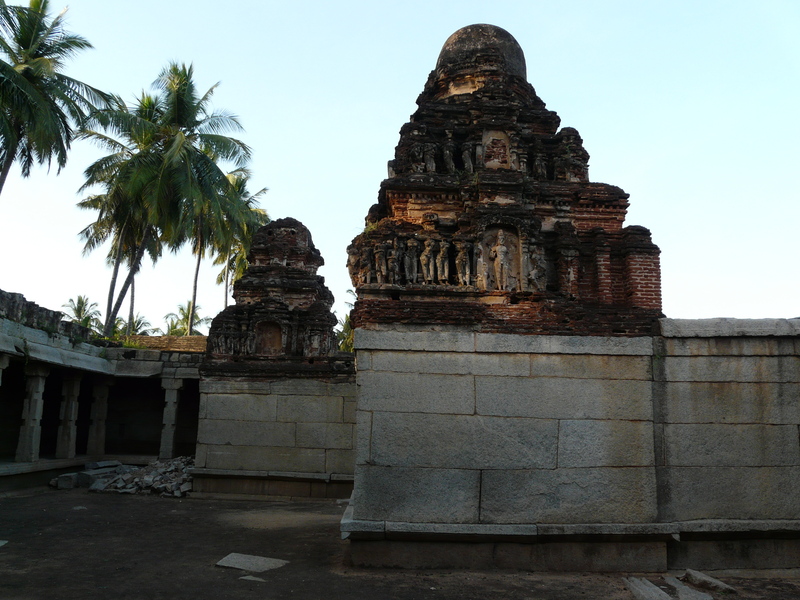 This also points to why the names Hampi and Vijaynagar are used interchangeably – Hampi/Hampi Bazaar is the present-day village situated in the Sacred Center, and thus is at the center of action. 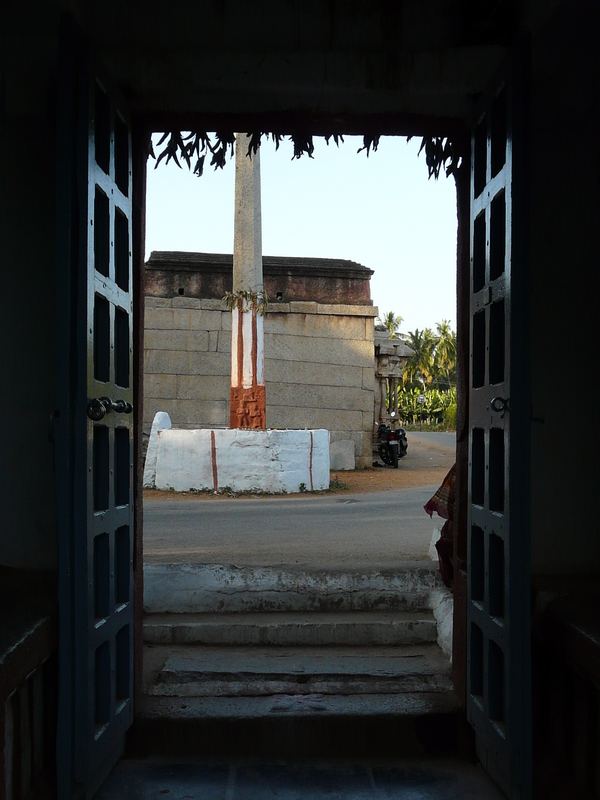 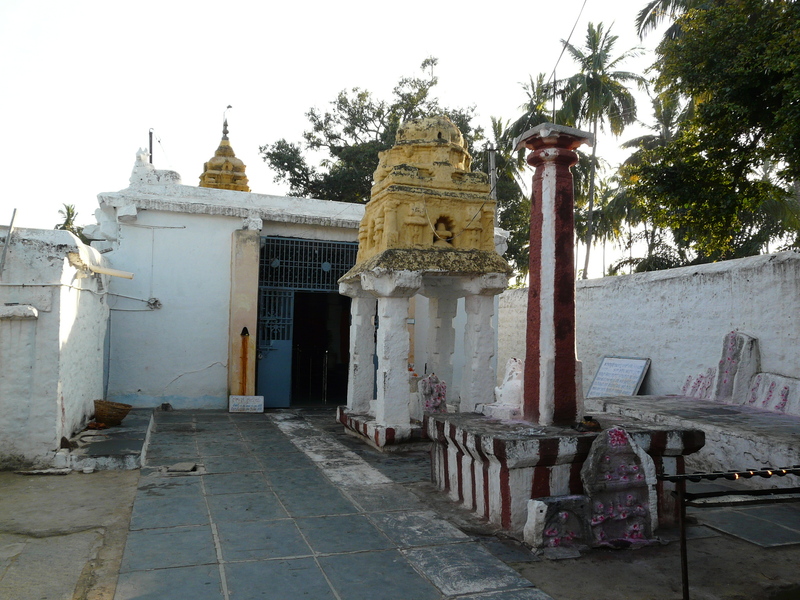 It is the only village located directly within the sacred/royal centers. 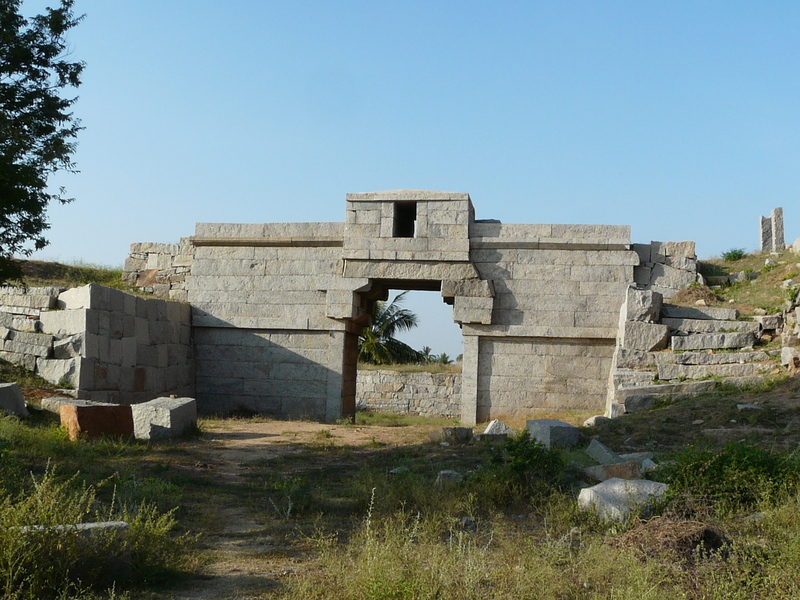 And then of course there are a lot of ruins spread around, since the inner fortification walls of Vijaynagar enclosed a core urban area of 25 square kilometers (and around that a wider “metropolitan area” of 600 sq km). 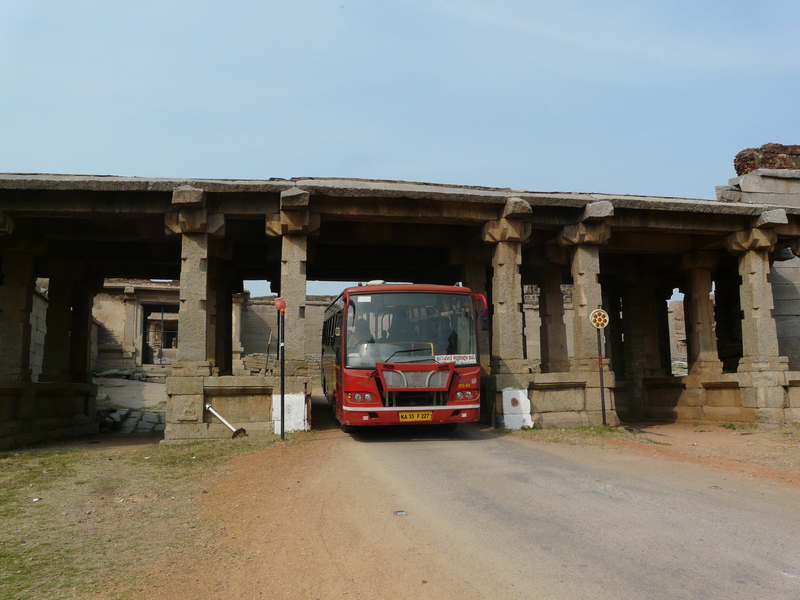 I’m covering some of these further flung monuments in this ‘outer circuit’ series of posts. 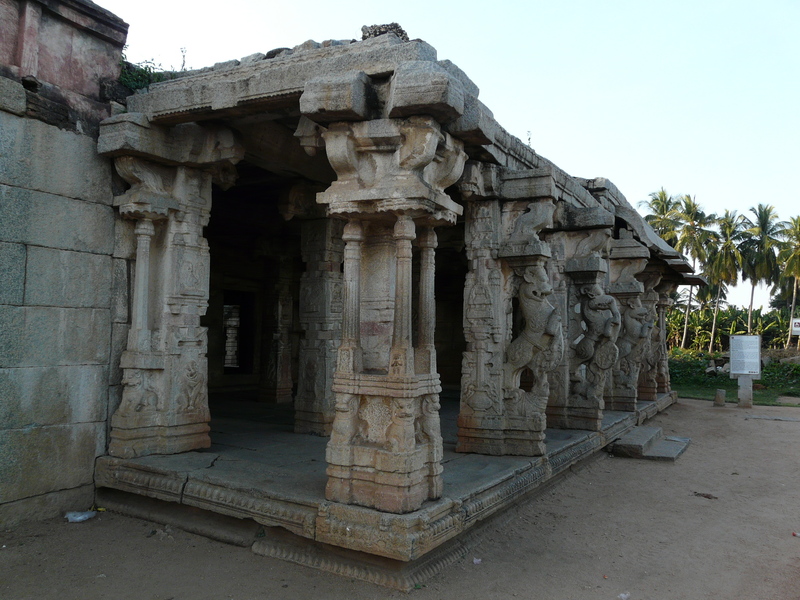 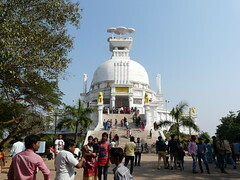 The small set of monuments covered in this post are kind of neither here nor there, since they do not strictly belong either to the sacred or royal centers, but are located within the overall area encompassing the two, so they aren’t strictly ‘outer’ either. 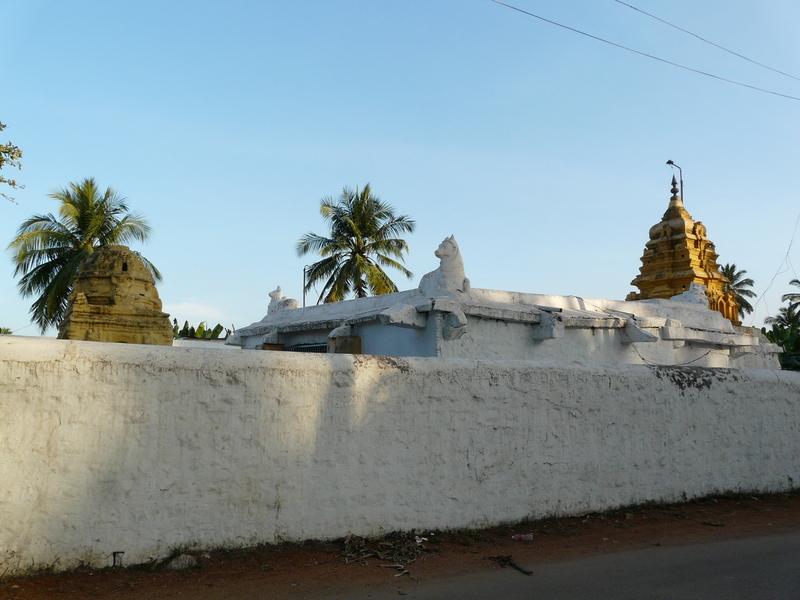 They lie along the picturesque road between the two centers, which also connects Hampi Bazaar with the small town of Kamalapur that lies a little to the south-east of the Royal Center. 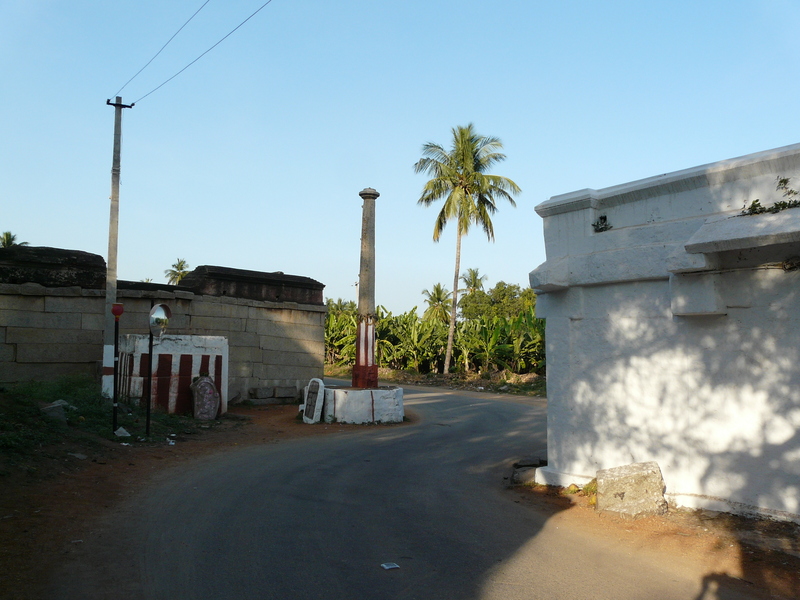 This road passes through the lush irrigated valley that lies between the sacred and royal centers. 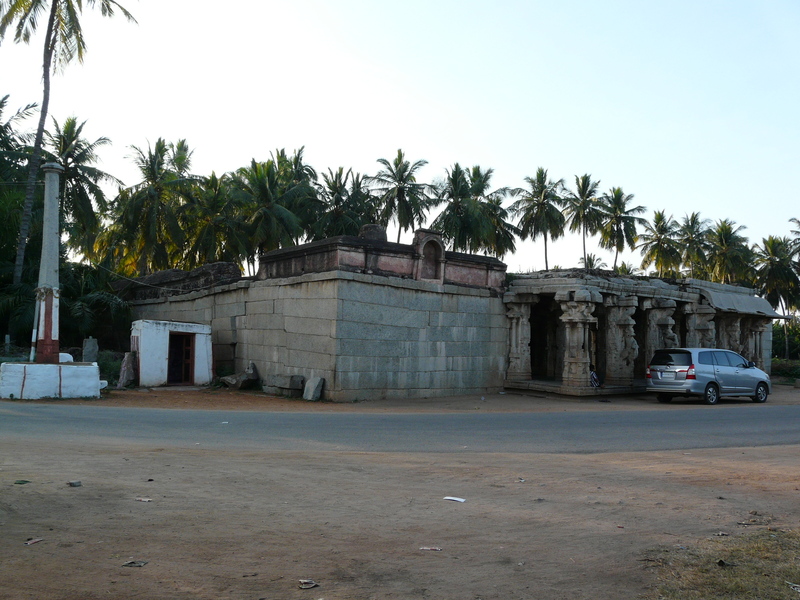 A little distance from Hampi, in the middle of the irrigated valley, the road bends around two temples, an active Uddana Virbhadra temple and an abandoned Vaishnav temple. 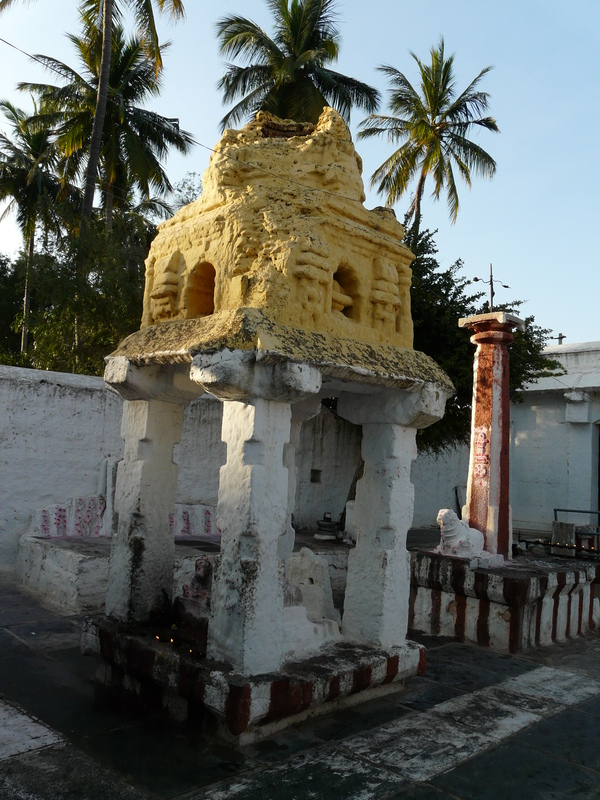 Both are possibly from the mid-16th c AD, though the Virbhadra temple was originally a gateway for the city, and was repurposed only later.